Our family friendly bistro is a great place to dine with family and friends or to celebrate that special day. Our family bistro menu offers a wide range of seasonal dishes to suit all tastes. All meals are reasonably priced with specials, kids meals and seniors meals available. Seniors Meals are available 7 days a week for both lunch and dinner. Our enormous children's playground will keep the little ones entertained for hours. 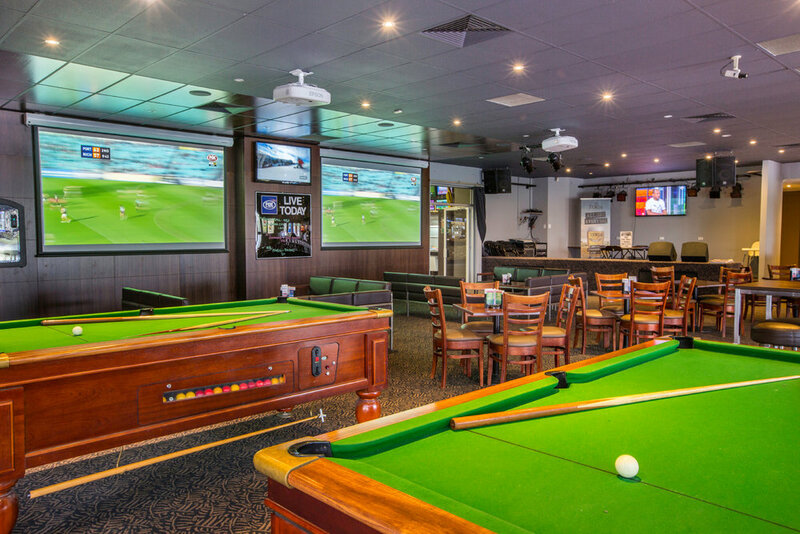 The ideal ambiance for those wishing to enjoy a refreshing beverage, watch live sport, play a game of pool, or place that lucky bet in our PubTAB. Our PubTAB offers TAB betting, Sportsbet, Trackside and for those professional punters, the daily form service.